I get it is hard to plan a winter birthday party because you can’t be outside but it can be challenging to have a summer birthday party too. Kids complain it is too hot, afternoon thunderstorms threaten parties mosquitos, etc. 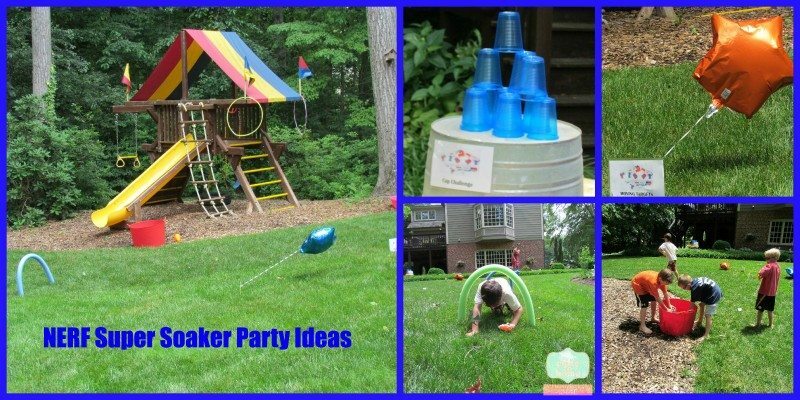 The weather gods blessed us this year and I am able to share these summer birthday party ideas with you. (It rained nonstop for a week before)!! 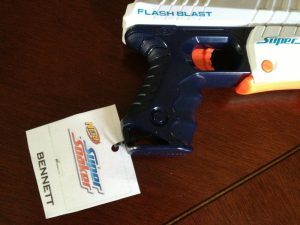 Thanks to House Party, NERF and CHEETOS Brand, my 7-year-old celebrated with his friends with one of the best party ideas I have had. Best being easiest, my 9-year-old even commented on the easy clean up! These boys were already pumped when they arrived as the party was scheduled on their last day of school. Being greeted by a bounce house set the mood and allowed for a few giggles to get out before the action really started. 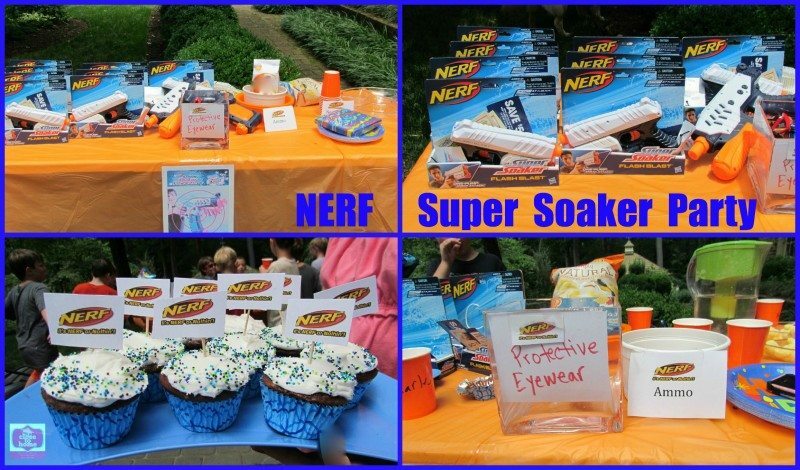 Before heading to our back yard for Nerf Super Soaker distribution, Rules were set with the main one being HAVE FUN! Each child was given a set of dollar store sunglasses for Eye Protection. Water in the eye is no fun. The kids had fun with these challenges but really enjoyed hitting each other with the Super Soaker Flash Blasters. These water shooters retail for $10 and they seem to hold up. 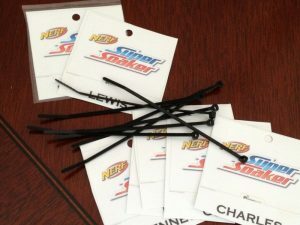 I purchased enough for all the kids to have one and they have had some BOGO 1/2 off at both target and Toys R Us. I tend to buy the super cheap water shooters and they do not make it a full season. My kids have since brought these to our pool and they are a big hit. Why not there is an unlimited supply of water. They just have to be more aware of adults and people eating! Make sure you laminate your signs, I just used the self laminating material you can get at Walmart that I already had on hand. These amazing pictures were taken from my friend and blogger/photographer, Stacy. Please visit her blog, Liminal Moments Photography, and give her some love. I told you this was an easy party idea! The kids went from the bounce house and water area until the parents arrived. 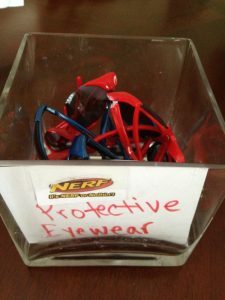 Each child was given their NERF Super Soaker, sunglasses and a bag of summer themed gummies as a take away. Everyone went away happy, no major accidents and definitely wet and tired. What a great HOUSE PARTY Idea for summer birthdays. Even if you don’t have a birthday to celebrate, grab the neighbors and their super soakers, GET outside and HAVE FUN. « Summer Bucket-list Things to do this summer!